Cool Mist Humidifier or Ultrasonic Humidifier? If your family is one of the thousands living beneath 2-feet of snow for most of the winter, dry indoor air can take a toll on your health and your home. Since not everyone has the luxury to enjoy soaking up the sunshine each day, keeping the windows open year round and always breathing fresh, clean air throughout the winter, humidifiers are there to make up for it. These devices really are capable of accomplishing many feats. 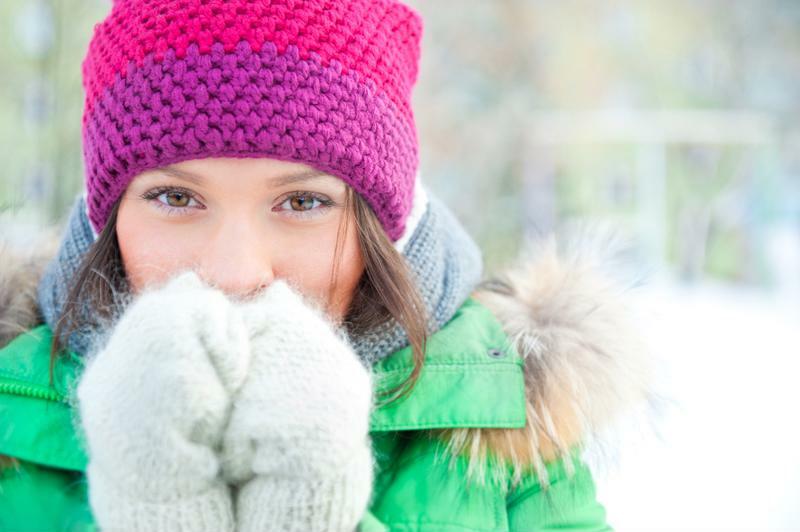 Beat dry winter air with a humidifier suitable for your needs. By dispersing moisture gently throughout the air, humidifiers have the power to keep your home more comfortable during the entire year, no matter what the weather outside looks or feels like. With a healthy level of humidity, humidifiers ease the discomfort of scratchy throats and eyes, relieve dry skin and help you breath better. But it doesn't stop there. Humidifiers increase freshness by alleviating stale air in your home and reduce static electricity. They protect your interior including floors, wall paper and furniture by maintaining consistent moisture levels so that these things don't dry out. Additionally, moisture makes the air feel warmer, meaning lower heat settings and lower energy bills. So which humidifying technology is right for you? Warm mist humidifier models produce a powerfully-warm mist that is both soothing and visible, a moisture that is especially beneficial during those cold winter months. Gently boiling water, the humidifier sends clean, warm vapor through the air of your home or living space. This system also traps irritants in the air, helping you breath better. Warm mist models such as the Holmes® Xpress-Comfort Warm Mist Humidifier, offer medicine cups and humidistat technology, which distribute inhalants for extra comfort. The humidistat measures the moisture levels in the air and adjusts itself to reach your desired setting. In less than 60 seconds, this model produces the level and quality of air you're looking for. The design fits perfectly on a bedside table or nightstand, bringing you comfort and a peaceful slumber all night long. And if you're feeling a winter cold coming on - not to worry. A medicine tray for aromatherapy and cough and cold relief is part of this humidifier. Cool mist humidifiers come in a variety of shapes and sizes. There are tanks, towers and boxes sized appropriately for small rooms, medium rooms and entire homes. Also called the Evaporative Wick, a cool mist humidifier is different from the warm mist version in that the moisture it produces is invisible to the naked eye. The dry air circulating through your home in the winter is sucked back into the system through a saturated evaporative wick, while cool moisture is pushed out into the environment and fan-evaporated. The filter traps pollutants, sediment and impurities so that nothing but clean, crisp, refreshing air comes out. This humidifying technology is best for those living in arid climates. With the right humidifier, you won't have to forego the fireplace this winter. Two of the best things about the ultrasonic humidifiers are the low-maintenance and extremely quiet operation. Vibrating water at ultrasonic speed to break it down, a transducer works to produce a cool mist that is pure and invigorating. The welcomed pure, light mist that can be seen and felt quickly adds moisture and thus, comfort, to the room. Models like the Holmes® 1.5-Gallon Ultrasonic Humidifier, which is best for medium rooms, offer variable mist control and a rotating nozzle. Set the humidifier to your desired comfort level with the digital humidistat and enjoy up to 24 hours of moisture before having to change the tank. These humidifiers are cost-effective and quite compact, making them suitable for smaller rooms. Consider bringing one to your office or setting it up while you're out working in your garage or shed. Similar to the warm mist humidifier, vaporizer humidifiers use a boiling process that rids water of pollutants and then releases fresh, untainted moisture into the air. The vapor released is alleviating and cozy, making you feel pleasantly comfortable no matter what room of the house you're in. Unlike the warm mist models, vaporizers do not have a removable tank. Here's a helpful guide to determine the best room size suitable for your humidifier and what filter you'll need for proper maintenance. Humidifiers gently disperse moisture into your home environment, alleviating dry air and making your home more comfortable throughout the year. Types of Humidifiers - Which Do you Need? Cool Mist, Warm Mist, Ultrasonic, and Vaporizers - each has its own benefits, so which is the perfect choice for your needs?